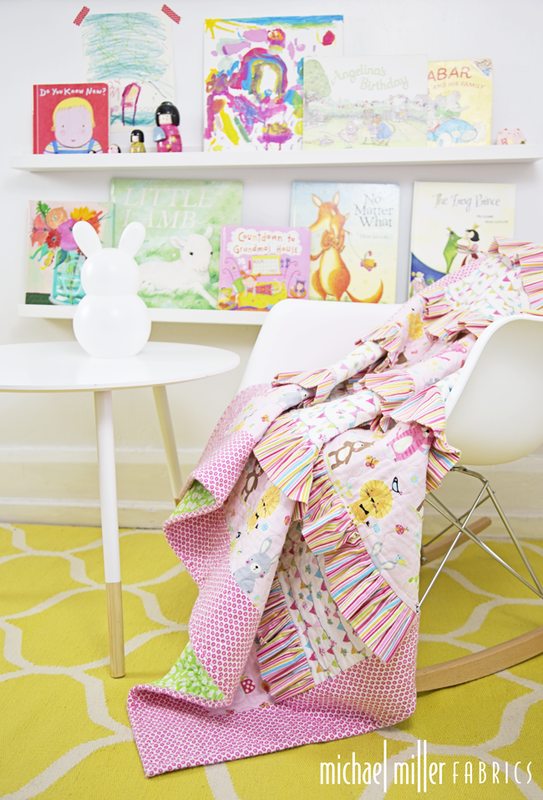 making it fun: Michael Miller Fabrics Loves Flannel! Michael Miller Fabrics Loves Flannel! The quilt pattern used above was designed by Susan Emory. It's called Behind the Scenes. It would also be fun to have a mobile that hangs with all of the animals!! 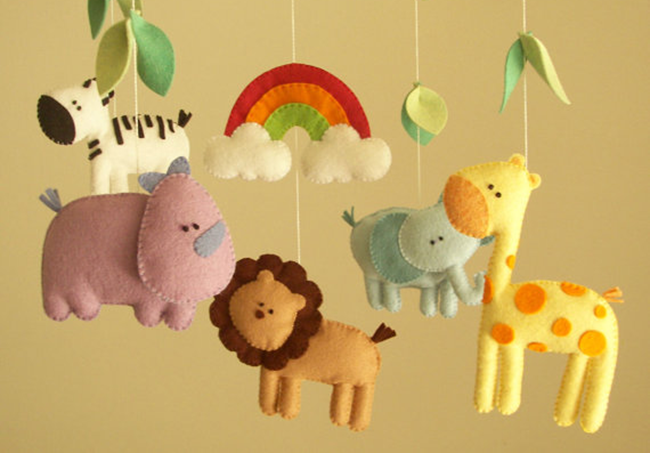 I found the mobile above on Etsy... you get to choose the six animals that you want! Looking for something for a special little girl? How about the quilt below? 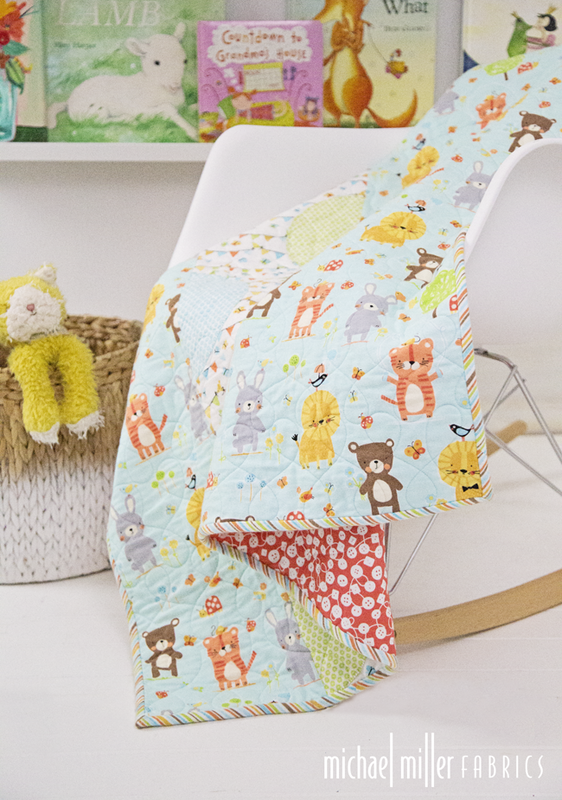 It's called Nature Babies and it's free to download on our website! 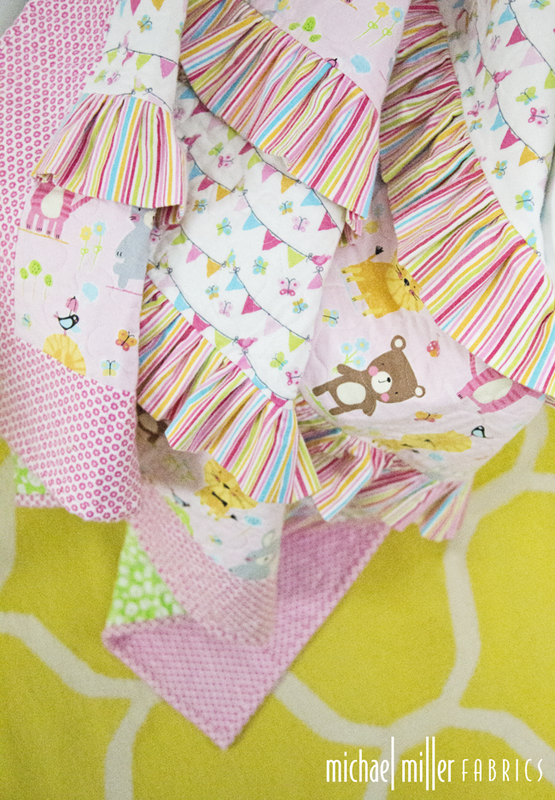 *How cute are those ruffles?! 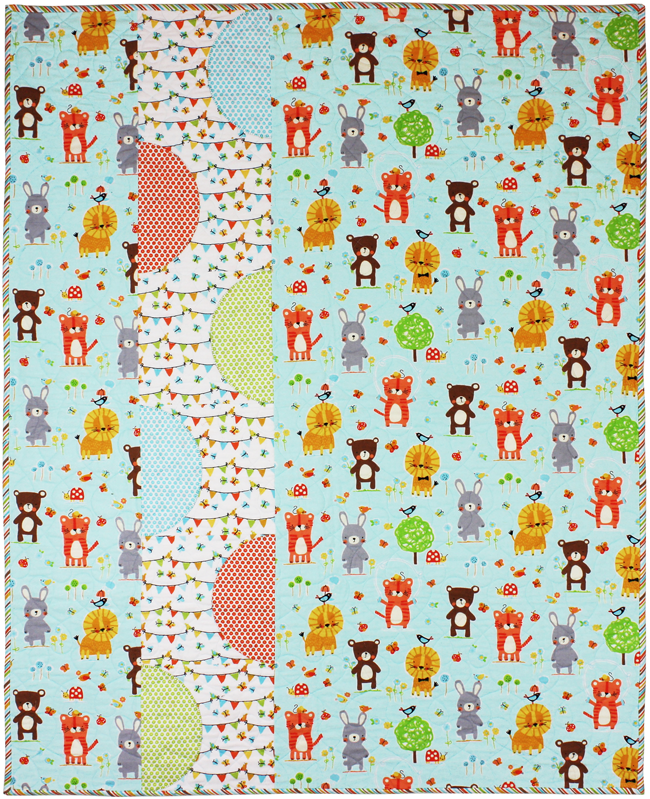 To view the entire Nature Babies collection visit Michael Miller Fabrics! Awwww... These prints are adorable!!! 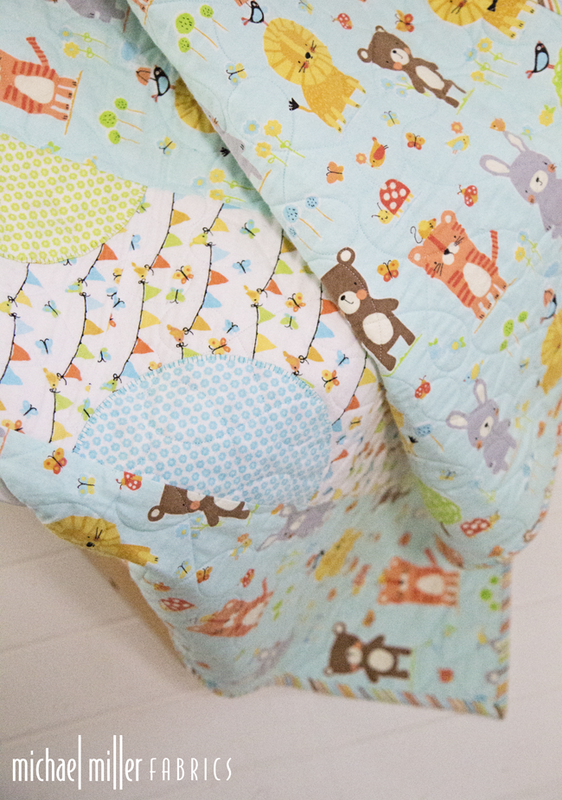 I want to make each and every baby quilt that you showcased!! Friday Feature :: Paola Phillips of Sweet Julia! 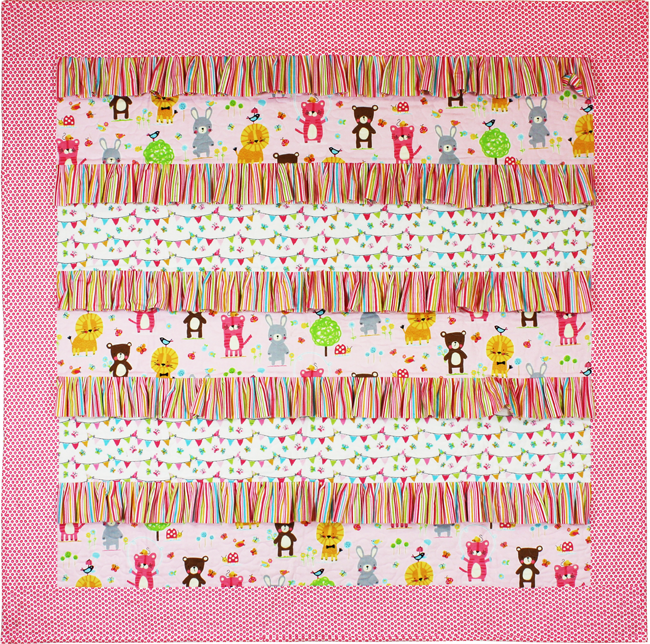 Fox Woods Fabric & Sweet Julia Boutique!